Douaihy’s Chased away was awarded the Hanna Wakim prize for his book ‘Chased away’ | Charid al manazel, published by Dar annahar in 2010. The novel was selected by students of 9 high schools, among 5 Lebanese novels. The Hanna Wakim Foundation aims at providing financial support for education and promoting young Lebanese cultural achievements. Within this program, each year, the Hanna Wakim Foundation selects a jury of 5 students, and 5 teachers to mentor them, from several schools across Lebanon. Students are to read 5 books or more, selected by the Foundation, and comment them. At the end of the year, one book is chosen by the jury and awarded the Hanna Wakim Prize, consisting of 10,000 USD. 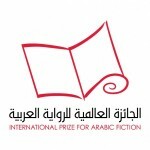 International Prize of Arabic Fiction 2012: Jabbour Douaihy on the long list! Jabbour Douaihy’s new book coming up!